The idea of ‘Legal notice from Income tax department’ is just enough to pump the heart to the throat. 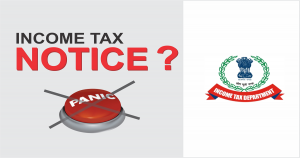 It is quite common to see people getting worried just for being slapped with an Income tax notice from the authorities, the range of worries depends on having minimal or no knowledge on this subject. Coming to the official sources from the department, there are few constitutional sections under which a person can face a legal notice at any point in time. There can be technical errors or the personal mistakes, it depends on the occurrence and with respect to this, the sections are classified. Note: Unless until you’re facing problems with hackers, email your issue to the official I-T email address: [email protected]. Check out the following sections and know what is the error that took place in your incident, know the troubles and correct them. There is a peculiar way to respond to every kind of notice based on the section. First and foremostly, one must stop worrying all the way. (a) You haven’t paid the entire tax due. (b) You have claimed a refund for deducted tax but have not mentioned the relevant income. (d) You have paid taxes but not listed income. Deadline to respond: The time limit to respond to a notice under this section is 15 days from within the date of intimation of the assessing officer. You can avail yourself of an extension by writing to the local assessing officer. If you don’t respond, the return will be considered invalid. You can go to the income tax filing site and download the right ITR form under the given assessment year. After this, select the option “In response to a notice under Section 139(9) where the original return filed was a defective return.” Fill in the reference number and acknowledgment number, and fill the form with required corrections. Under “e-file”, select “e-file in response to notice u/s 139(9)” and upload it using the password given in the notice. a) It can be simply the final assessment of your returns as your tax calculation matches that of the assessing officer. b) It can serve as a refund notice, where the assessing officer’s computation shows excessive tax paid by you. c) It can be a demand notice, wherein assessing officer. The Time Limit to reply to this notice is before the expiry of one year from the end of financial year in which the return has been filed. How to respond: If there is no discrepancy in the returns, you are not required to do anything. If a refund is due, it will be transferred to the bank account mentioned in the return. If it is not transferred, request a reissue of the refund. You will have to pay the due refund within 30 days. This is essentially a communication on proposed adjustments, which means that if there is a discrepancy in the income mentioned in the return and Form 16, or deductions are given under Section 80C or Chapter VIA and Form 26AS, then verification will be sought through this notice. Time Limit to respond is 30 days from the date of issue of the communication. How to respond: After logging in to the tax filing portal, under the “e-Proceeding” section, explain the discrepancy along with the supporting documentary proof that will have to be uploaded. You will get this notice if any income has escaped assessment or calculation. Time limit to serve notice: If the income that has escaped assessment is Rs 1 lakh or less, it can be sent within four years of the end of the assessment year. If it is more than Rs 1 lakh, the notice can be sent within six years of the assessment year. Time limit to respond: The return will have to be furnished within 30 days or in the specified duration as per the notice by the assessing officer. How to respond: You will have to file the returns for the relevant assessment year, as directed by the assessing officer. This is a scrutiny assessment notice that follows the preliminary assessment of returns. 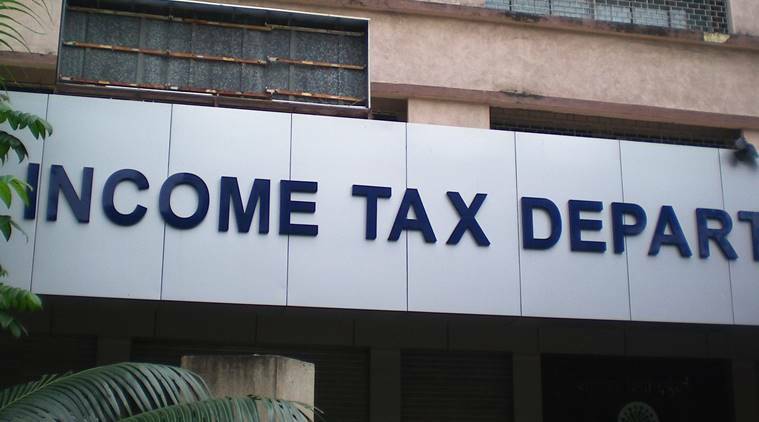 “This can be of three types, with the first two coming under computer assisted scrutiny selection (CASS), while the third is a manual scrutiny notice,” told Chetan Chandak, Head of Tax Research, H&R Block, India to Economic Times. “The timeline for the completion of this assessment is 18 months for the assessment year 2017-18, down from 21 months in 2016-17, and is likely to be further brought down to 12 months from next year,” he adds. a) Limited purpose scrutiny: “This is not a full-fledged scrutiny and is meant to highlight only one or two points and verification is sought on these,” adds Chandak. b) Complete scrutiny: This entails a complete, detailed scrutiny as serious discrepancies have been identified in the tax returns. c) Manual scrutiny: This notice is handpicked by the assessment officer, but it can be sent only after the approval by the Income Tax Commissioner. Time limit to serve notice: Before the expiry of six months from the end of the financial year in which the return is filed. Time limit to respond: The taxpayer will have to appear in person or through a representative before the officer on the date specified in the notice. c) Prosecution under Section 276D, which may extend up to one year with or without fine. This is a new section that has been introduced in the Income Tax Act, according to which a fee or penalty will be levied in case returns are not filed by 31 July of the relevant assessment year. “So far, salaried taxpayers were lax about not filing returns by 31 July if taxes had been paid, but now it is mandatory to do so,” Amit Maheshwari of Ashok Maheshwary & Associates told Economic Times. Till date, a penalty of Rs 5,000 was levied at the discretion of the assessment officer if the return was not filed. Starting with the assessment year 2018-19, a fee of Rs 5,000 will be charged in case returns are filed after the due date, but before 31 December of the relevant assessment year, or Rs 10,000 if it is filed after 31 December of the relevant assessment year. However, for those earning less than Rs 5 lakh a year, a maximum penalty of Rs 1,000 will be levied.